The term Scaloppine in Italian means "small scaloppe" (singular, scaloppa), which are thin slices of veal, poultry or other meat, normally flattened, dredged in flour and quickly fried in butter or oil. 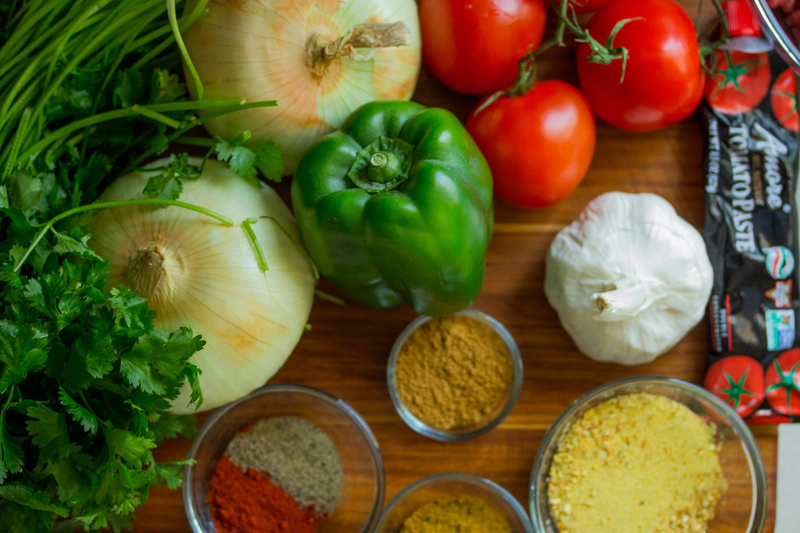 They can be prepared with different types of sauces, like white wine, Marsala, lemon and capers and more. Scaloppine with white wine and mushrooms sauce is another classic Italian recipe. I used a mix of white and Cremini (brown) mushrooms cooked in butter and olive oil and flavored with dry - not sweet - white wine. Pair with mashed potatoes and some greens and you are all set for a great dinner. Clean and slice the mushrooms and set aside. Chop the parsley and set aside. The veal cutlets should be thin, about 1/4 inch thick. If necessary, place them between 2 sheets of plastic wrap and pound with a smooth meat tenderizer or mallet. In a dish, season the flour, mixing it with salt and pepper. Pass the cutlets in it, making sure they get well coated each side. Depending on the size of the cutlets, you might have to cook them in 1 or more batches. Either way, start by melting the butter and 2 tablespoons of the olive oil in a large frying pan over medium heat. Add the meat and slightly brown it, letting it fry for about a minute on each side. Take off the heat and set aside where it will stay warm. In another pan warm the remaining oil with the garlic cloves cut in half. Add the mushrooms and cook over medium-high heat until they start sizzling, then add the wine. Let evaporate for about a minute, add the parsley, season with salt and pepper, lower the heat, cover and let cook for about 6-8 minutes. If the liquid reduces too much, add a small amount of warm water or vegetable broth. Add the veal cutlets and let cook for another couple of minutes. Serve immediately, diving the mushrooms in equal amounts over each scaloppina. Note: Instead of veal cutlets, chicken or turkey breast cutlets can be a good substitute for this dish. Wine pairing suggestions: Normally I would bring to the table the same type of wine used for cooking the scaloppine, in this case a Pinot Grigio; Verdicchio is a great white Italian to consider, as well as an American Chardonnay. 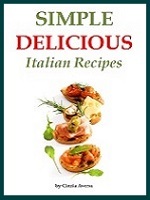 Simple Delicious Italian Recipe is the perfect cookbook for any Italian food lover. Buy and download your copy today from the BellaOnline eBook page.